Sunday, March 24, 2019, 4:00pm. Ticket with book, $35. Buy tickets here. At The Wilshire Ebell Theater, 4401 West 8th Street Los Angeles, CA 90005. Parking available in adjacent lots or there is street parking (please read signs). Your ticket(s) will be mailed to you by Brown Paper Tickets. EACH TICKET INCLUDES ONE COPY OF STACEY ABRAM’S BOOK. ALL BOOKS MUST BE PICKED UP AT THE EVENT. WE DO NOT MAIL OR HOLD BOOKS. NO REFUNDS. What’s next for Stacey Abrams? She narrowly lost Georgia’s gubernatorial race in November but she is by no means leaving politics anytime soon. 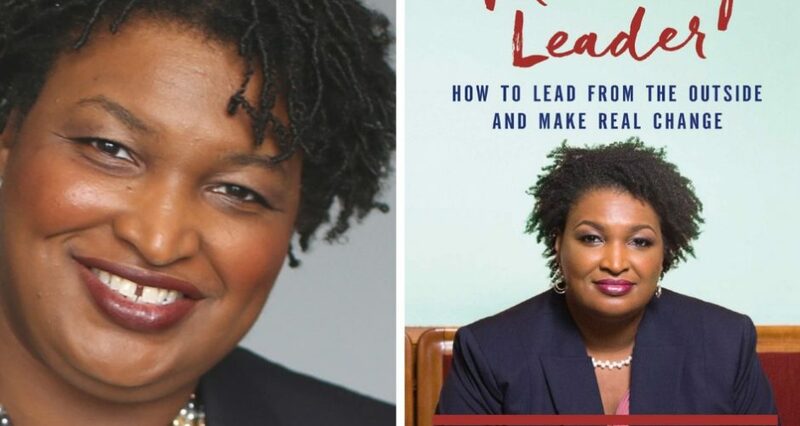 Abrams, a superstar in Democratic Georgia politics, is now one of the most influential Democrats in the South. Will she run for Senate in 2020, or wait it out and run for Governor of Georgia once more in 2022? Or will she seek another office? Whatever her decision, her influence far exceeds the boundaries of Georgia. 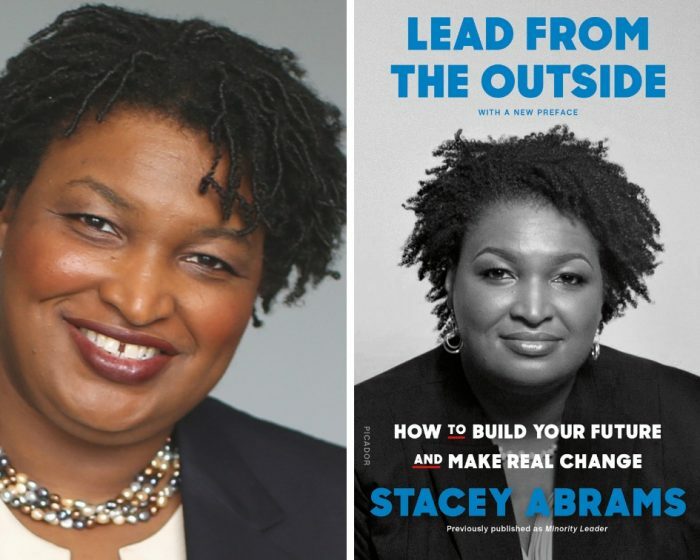 In her new book, Lead from the Outside, Stacey Abrams sets out to prove that if you’re determined to make a difference, race, age and gender wont hinder your efforts. Stacey Abrams showed the country that being an outlier or an outsider was not a deterrence in her many successes. Rather, it is her sheer force of will and confidence in her message that beats the most daunting odds. This is what she showed in her gubernatorial race, and she never wavered from her demand that our elections be fair and just. In conversation with Jamil Smith. Jamil Smith is a senior writer for Rolling Stone, with a focus on politics, race and identity. He was a producer for The Rachel Maddow Show and Melissa Harris-Perry, and has won three sports Emmy awards. We can only refund orders is if there has been a significant change made to an event, and we have announced that refunds are available. We cannot offer any refunds or exchanges due to scheduling conflicts, illness or other personal issues. Parking is available in adjacent lots or there is street parking (please read signs). This entry was posted in Books, Books, Books, Past Events, Politics, Previous Events, Program. Bookmark the permalink.